This ultra-rich, soothing cream is enriched with Divatonyl, which helps diminish skin imperfections and hydrate skin. It can be used all over the face day or evening or as a spot treatment for stubborn imperfections. A softening, regenerating and protecting cream for normal to combination skin. The creamy texture provides a velvety feel to the skin. Can be used to reduce small imperfections. Apply morning and/or evening on a well cleansed and toned skin. Spread the cream gently throughout the face and neck until it is fully penetrated. Can be used as a 24-hour cream. I have used this product, since the mid- to late- 90's, it has moisturized my face to my toes; the application by hand may seem greasy, but after using a dab at a time, you realize your skin is refreshed and moist, keeping your own fashion skin young-looking and subtle. 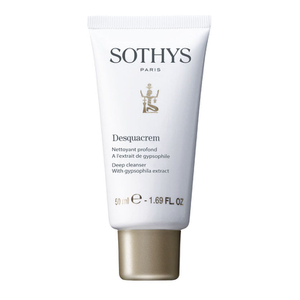 Great for applying before make-up and after washing with Sothys' Desquecrem. Awesome product line! I have combination skin- I think this cream is too greasy and a little sticky. Having the combination skin that I do have this I alternate with the Active cream every other night. Hydrates how much your skin needs hydration which other products do not do that. I cannot say anything bad about this product...does what it claims.